(Newser) – Twenty-first-century fatwas have become way more technologically advanced than edicts of old against the likes of Salman Rushdie and other supposed infidels. 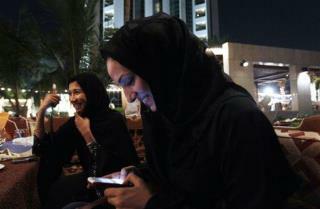 To wit: A Saudi scholar has issued a ruling warning against the pilfering of WiFi, the Sydney Morning Herald reports. "Taking advantage of the WiFi service illegally or without the knowledge of other beneficiaries or providers is not allowed," was the stern mandate of Ali Al Hakami, a member of the Islamic religious council that advises the Saudi king. He clarified that public WiFi, such as that found in parks, hotels, and shopping malls, is A-OK to access. Gulf News points out that this most recent ruling aligns with one issued in April by Dubai's Department of Islamic Affairs and Charitable Activities after a reader on its website asked if it was OK to tap into a neighbor's WiFi. They probably have all the interesting sites firewalled anyway. Those nutty Saudi allies of ours are always good for a few chuckles. An eye for a wifi. A fatwa against women sitting in chairs?! WTF?